Earn $5.12 in Rewards credit (512 points) What's This? The Tiagra groupset has long been lauded as a durable, adjustable entry-level groupset that makes entering into the hobby of cycling painless and accessible. 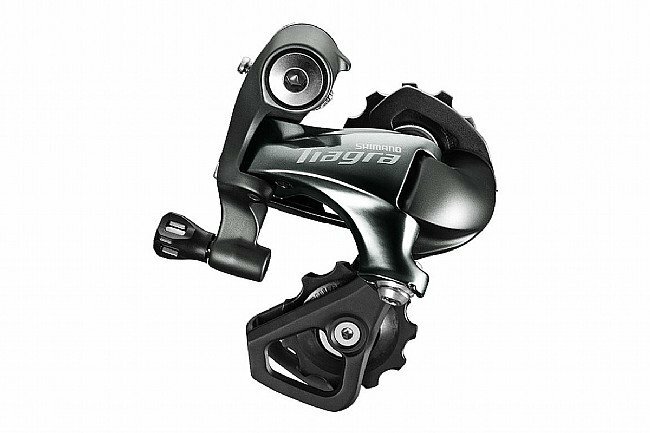 But Shimano wasn't happy with this just being an option for budget shoppers, they wanted to make the new 4700 groupset a compelling option for those with the need for speed as well. Featuring cascaded technology directly from the Dura-Ace 9000 group set, the Shimano Tiagra RD-4700 10spd Rear Derailleur utilizes the new lighter shift action, smooth-spinning jockey wheels and bearings, and a redesigned derailleur body. Short cage maximum cog: 28t. Long cage maximum cog: 34t. Trickle-down technology from Dura-Ace 9000 groupset provides light shift action. Redesigned derailleur body maintains durability while improving shift performance. Compatible with 10 speed wheels, cassettes, and chains. Great value, looks good and functions really well! 10 Speed Ultegra is getting hard to find, so I bought this to replace an older Ultegra derailleur that was damaged when a chain broke on our tandem. Using the same Ultegra 6700 shifters, I think this newer Tiagra kit works even better than the old 6700 derailleur ever did! This might not be the solution you are looking for if you are a road racer weight weenie looking for those marginal gains, but I wouldn't hesitate to put it on any touring, commuter, or cyclocross bike! 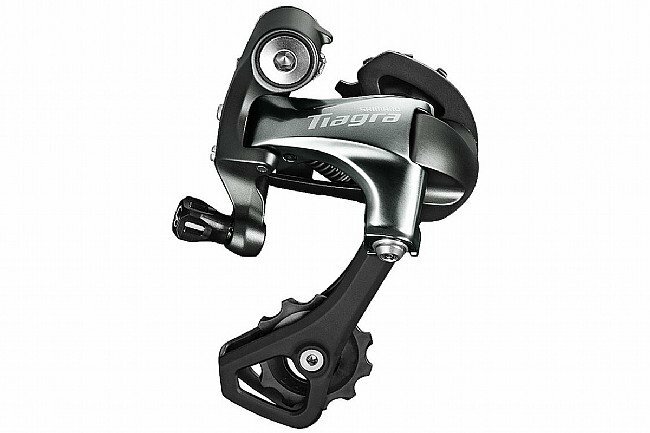 The Shimano Tiagra Rear Derailleur works as intended. The derailleur works fine and was in good condition out of the box. The hardest part of the job was installing a new shifter cable in the handlebar assembly ! Now I know how it's done !